The Presidency and Enyimba International have mourned the death of defender, Chinedu Udoji who passed on in the wee hours of Monday. 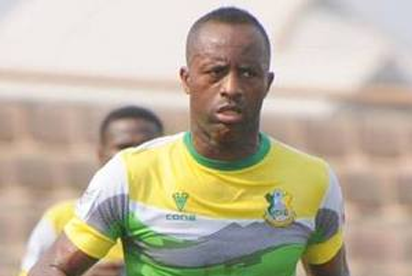 Udoji who captained Enyimba for five years, was until his death, playing for Kano Pillars FC. The Chairman of the People’s Elephant, Felix Anyansi-Agwu, in a statement in Lagos described Udoji’s death as untimely. Anyansi-Agwu said that the contributions of Udoji to the team during his time with the club was commendable, adding that he was a leader both on and off the pitch. “Words cannot convey either the depth of our pain or the intensity of our anguish over the death of Udoji. “What we can do in this hour of sadness, however, is to pray to God to strengthen the family he left behind, the teammates he so passionately inspired and his friends and fans. “Udoji joined our club in 2009 and captained the club for five seasons before his departure in 2016 to Kano Pillars. “He was a ferocious captain and leader on the pitch but warm and gentle friend off it. During his time in Aba, he won two league titles and two Federation Cups. Similarly, the Presidency is in mourning too. According to President Muhamadu Buhari’s Personal Assistant on New Media, Ahmad Bashir, the nation’s number one citizen expressed sadness over Udoji’s death. Bashir described Udoji as one of Nigeria’s finest players. The Nigeria Football Federation (NFF) and the League Management Company have rued the death of defender Chinedu Udorji. The post Presidency, Enyimba mourn late Udoji appeared first on Vanguard News.